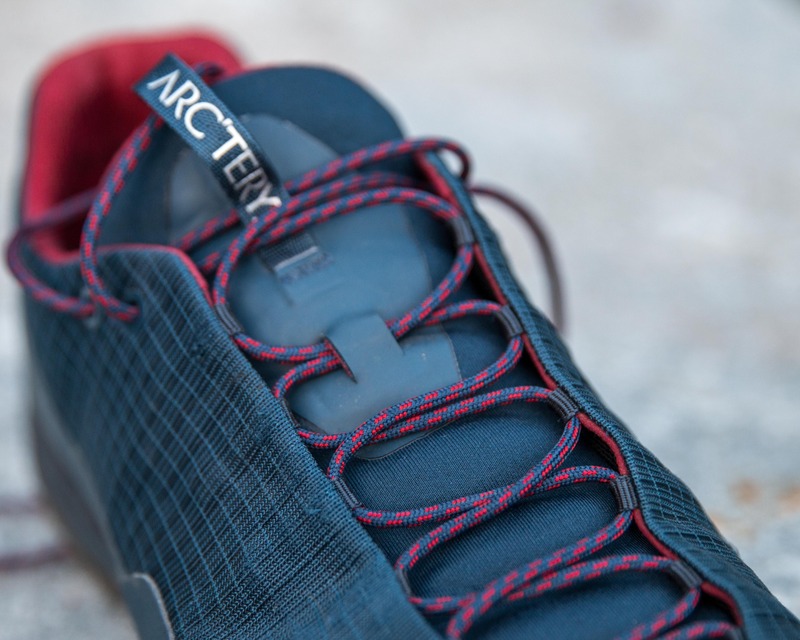 The new Konseal FL shoes from Arc’teryx are designed as a lightweight scrambling and climbing approach/hiking shoe. And while they feature a more traditional design (with a tongue) and sport a sleek look don’t be fooled, these are cutting edge technical shoes. 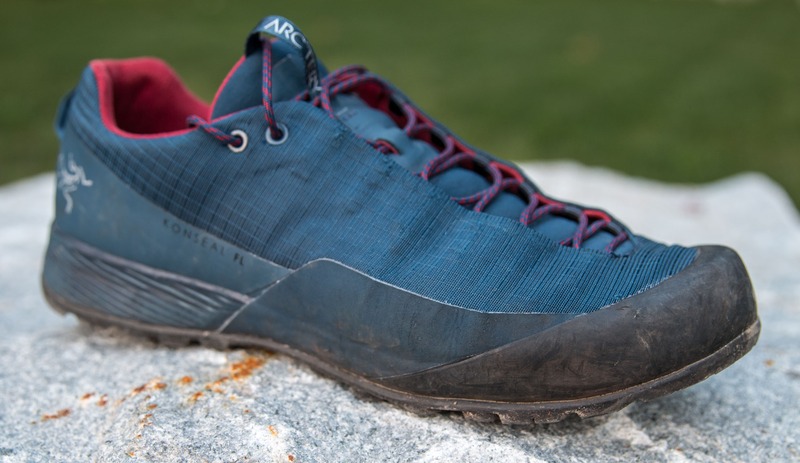 Arc’teryx has put a lot of thought into the the new Konseal FL and created a versatile high performance shoe that is sure to be popular. I definitely love my pair, well after they broke in that is. The new Konseal FL shoes are the first in what’s sure to be a new line of approach shoes. 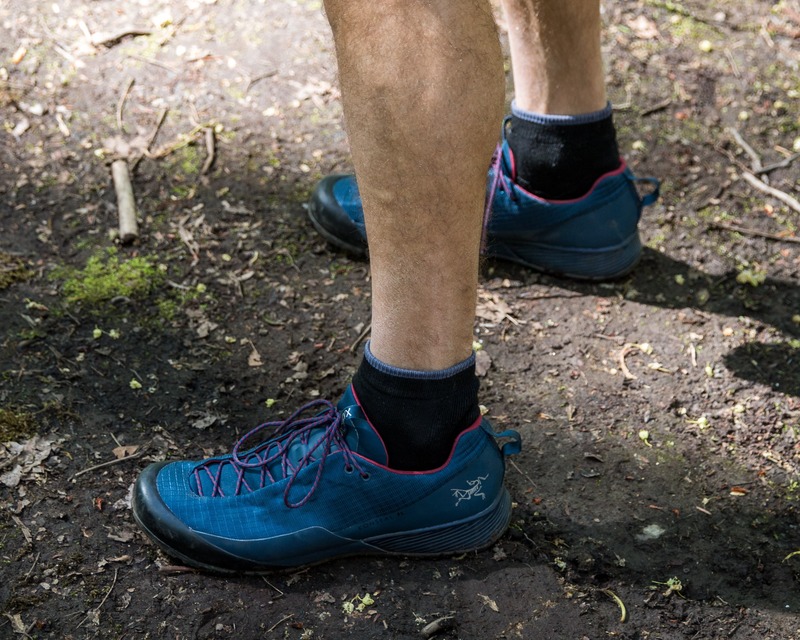 In creating the FL’s, Arc’teryx deviated from the sock-fit, tongue-less design of the popular Acrux line and so the new naming scheme seems appropriate. Of course the differences between the shoes are much more significant than just a tongue! Giving the shoe a FL (fast and light) acronym when it’s the same weight as the Acrux SL (superlight) was a bit of a surprise though. Starting at the top, the exterior of the shoe is made from a single piece of a knit polyester mesh. This very durable and breathable material is not at all waterproof, not even a little! Of course the Gore-Tex version will be more resistant to water though less breathable. The full length laces have inset eye loops to protect the laces from abrasion and wear. The side and back of the Konseal FL have what Arc’teryx is calling “raised perimeter sidewalls”. It’s basically a band of reinforcing that runs along the sides and back of the shoe where the fabric isn’t protected by the toe cap. This perimeter sidewall serves double duty protecting the fabric in high wear areas while providing additional stiffness. The interior of the Konseal FL approach shoe is lined with a soft but durable layer microsuede and contains a 4mm Ortholite™ footbed. I went a ½ size smaller with the Konseal FL than the Acrux SL. I wanted a slightly more performance fit and that’s exactly what I got. The sizing felt bang on. That being said, they have a different fit than the Acrux line of approach shoes, especially when they’re fresh out of the box. The main difference is found in the width at the ball of the foot where the raised perimeter sidewalls are a bit ridged on my medium width feet. This gives the shoes a feel more akin to a light mountaineering boot than a shoe, especially along the forefoot. However, after a few days or a week they break-in and the resulting fit is quite comfortable and incredibly secure with absolutely no heal movement. 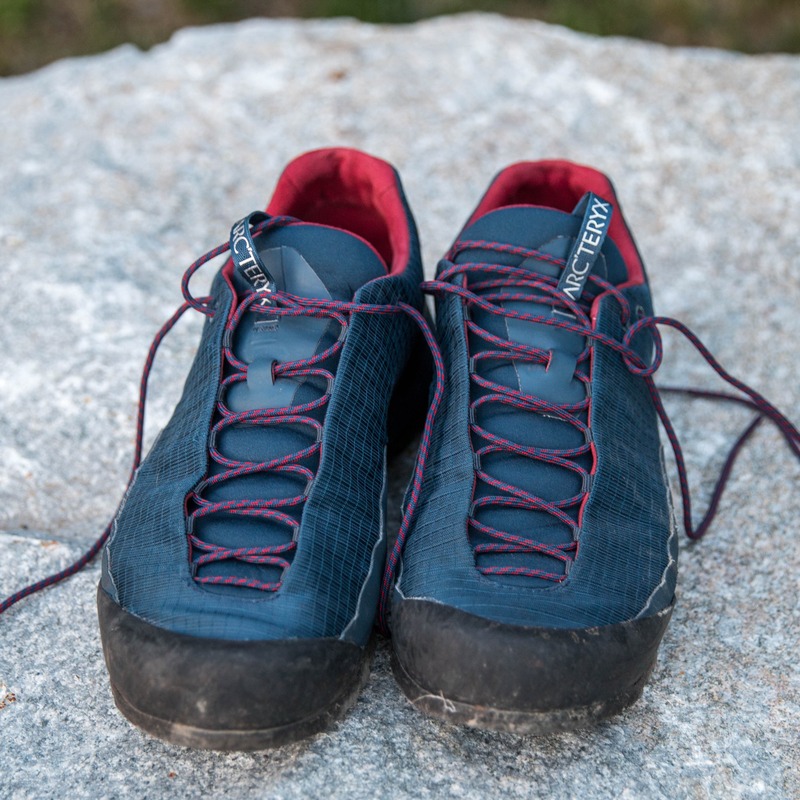 The design of the to-the-toe laces along with the padded tongue allow the Konseal FL’s an incredibly adaptable fit: a very tight performance fit for climbing and technical scrambling to a loose fit for around town or at the crag. Neither set-up producing any pressure points or issues. A lot of approach shoes are either good on rock and scrambling terrain or good on slick trails. Very few excel at both. The new Konseal FL shoes are one of those few! Arc’terys took the already solid variable tread pattern on the Acrux and improved upon it. Of course they kept the standard climbing zone area at the toe but then added some deeper round lugs under the ball of the foot for grip on rock slabs as well as muddy trails. On the heel they have deep transverse lugs to dig into soft trails on the decent but also a small climbing zone type pad for grip when walking down rock slabs. Overall, a well designed tread pattern that produces a secure feeling shoe in variable terrain. 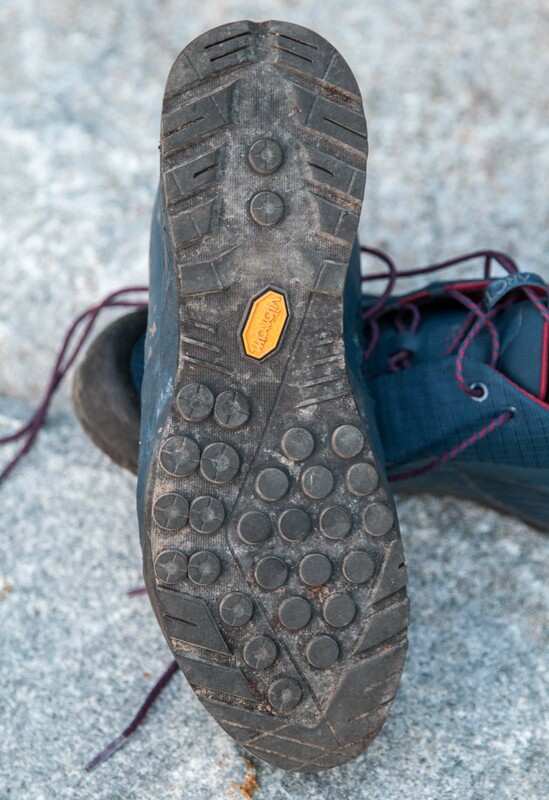 Of course sole is made with Vibram® Megagrip™ so the rubber performance is fantastic. The high quality rubber and variable tread pattern on the Konseal FL’s create a very secure feeling shoe on everything from rock slabs to steep muddy trails. 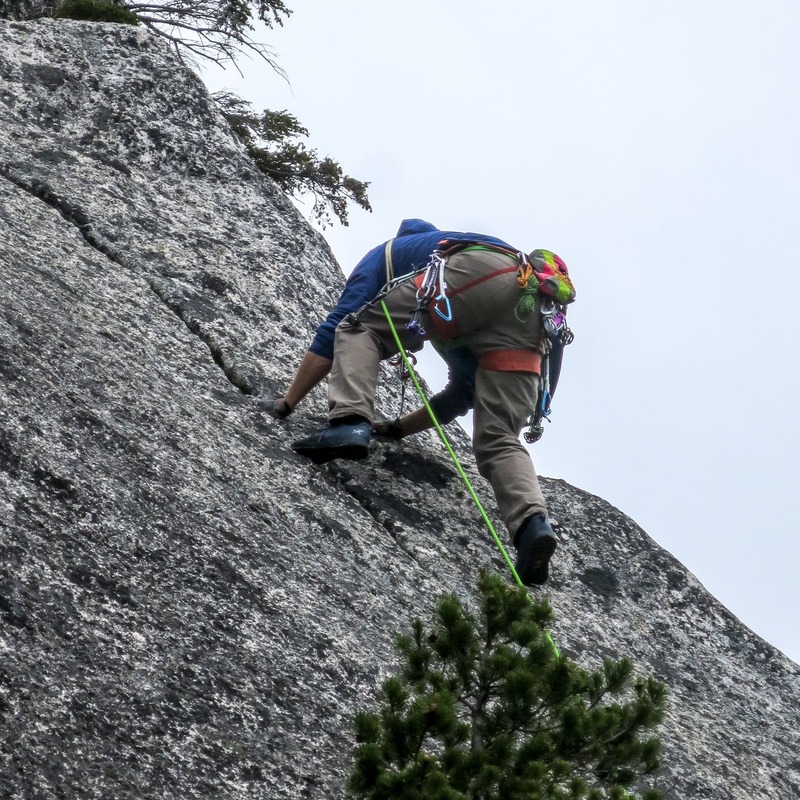 I’ve tested the Konseal approach shoes out on a variety of easier rock climbs and found that they performed exceptionally well! The combination of sticky rubber with a laterally stiff sole and low profile toe really shines in variable low-5th class terrain. I found I was able to stand on surprisingly small edges without the soles wanting to fold up while the toes fit well in cracks. On a side note the plastic midsole chassis, in addition to providing support and protection along the arch of my foot, made the Konseal’s fairly comfortable in aiders. Durability seems to have been one of the drivers in the design of the Konseal FL. I’ve found that the two main weak points on approach shoes are the laces and the sidewall in the neighborhood of the knuckle on the baby toe. 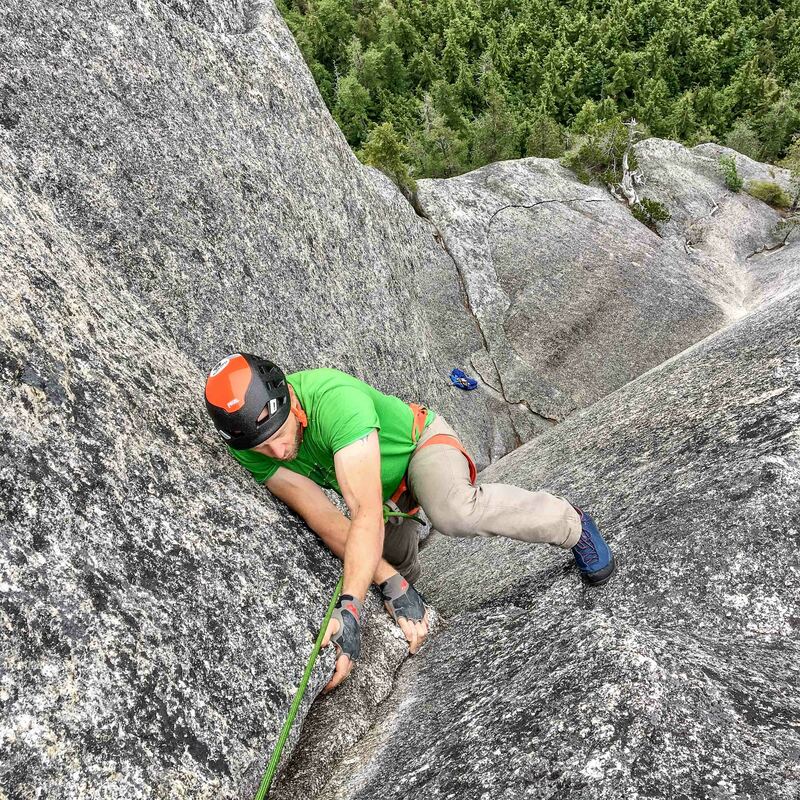 When climbing and scrambling these two areas wear quickly and, in the case of the sidewall, can cause the premature demise of a great pair of shoes. The Konseal FL’s have specific design features aimed directly at these two weaknesses. 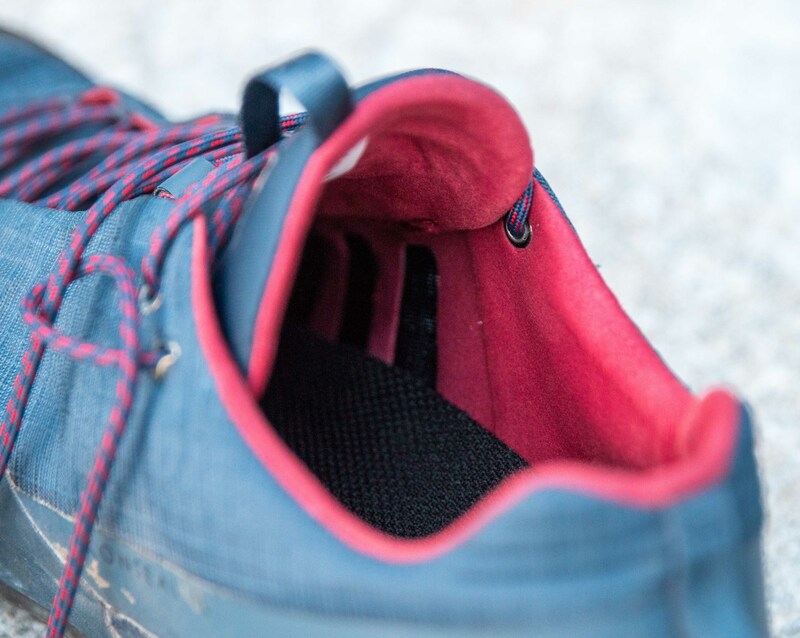 The laces are inset so that they don’t touch the rock and wear when jamming and climbing. Of course this means that the shoe fabric takes the hit instead but the knit polyester mesh is quite abrasion resistant and has stood up very well so far. As mentioned previously, the raised perimeter sidewalls on the Konseal FL’s not only helps to stiffen the shoe but also provides additional wear protection. With this extra protection strategically located along the high wear areas on the outside of the foot, especially along the baby toe, I expect these shoes to withstand some hard service down scree slopes and up cracks. Now I have only been testing my Konseal FL’s for about a month so cannot yet attest to their long-term durability. However, they’ve stood up very well so far and I expect them to last for the long haul! Overall: An incredibly versatile approach, scrambling and hiking shoe that’s very breathable but not at all waterproof. 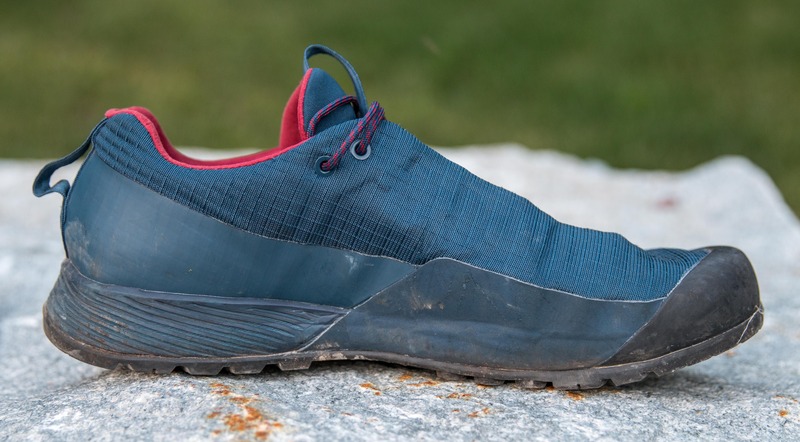 One of the best performing approach shoes I’ve tested both on trails and on the rock. If you don’t mind sacrificing water resistance for breathability and absolutely amazing performance then this is the right shoe for you! We were provided with a pair of shoes for testing but of course this didn’t influence our review in any way.